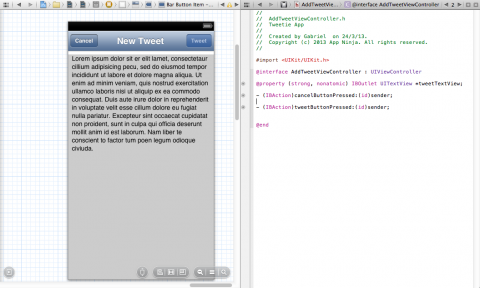 Learn how to make an iOS app with a back end like Twitter in this beginner Fat Fractal tutorial! Mobile backend services, also known as BaaS (Backend-as-a-Service), have become very popular these days because they save you a ton of time and money when it comes to developing an app that needs a remote database. Tutorial Team member Antonio Martinez recently wrote an article about how to choose the best backend provider for your iOS app that covered many of the most popular options, like Parse, StackMob, and more. In the time since Antonio wrote that article, there’s a new game in town! It’s called Fat Fractal, and we’re big fans. Fat Fractal offers a number of advantages over other back-end providers, and in this tutorial we’re going to give you some hands-on experience with it so you can see if it’s right for you. 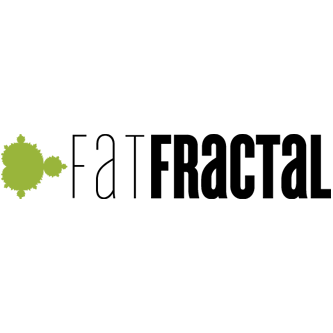 Keep reading to learn more about Fat Fractal, and how it stands out from other service providers like Parse! 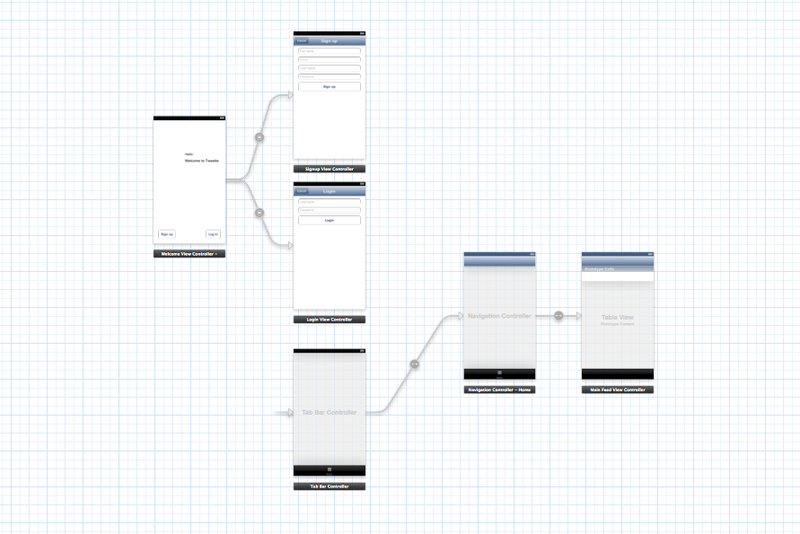 I have used Parse, Stack Mob, and recently a few months ago, Fat Fractal to write apps for my iOS consulting company. There were always something that didn’t feel quite right when using Parse or Stack Mob. Data modeling. Providers like Parse force you to use their own objects called PFObjects. This made me feel uncomfortable as I like to define my objects as subclasses of NSObject, instead of having extra overhead or lock-in in case I decide to change backend providers. Querying for data. Some extremely simple queries, if you are writing your own backend, turn into unimaginably complex API calls when using services like Parse. 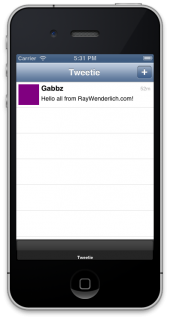 I remember writing an Instagram-like app for a client which had to make over 10 (!) 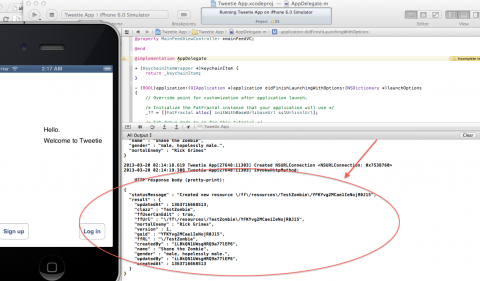 separate API calls to the backend to just retrieve a profile page, when using Parse. This adds to alot of round trip requests and slow loading times. Server-side extensions. Way too much code that should be executed on the server, are instead being done on the iOS client. This is because the lack of control and access you have on the backend on services like Parse and Stack Mob. Compared to other BaaS, Fat Fractal is better thought through, and does not end up being a frustration at some point when you want to do something hard. The focus is on not limiting a developer in any way. Datagraphs and relationships, including back references, which we have filed patents for. This is extremely powerful, and you can literally retrieve an object graph in a single query. 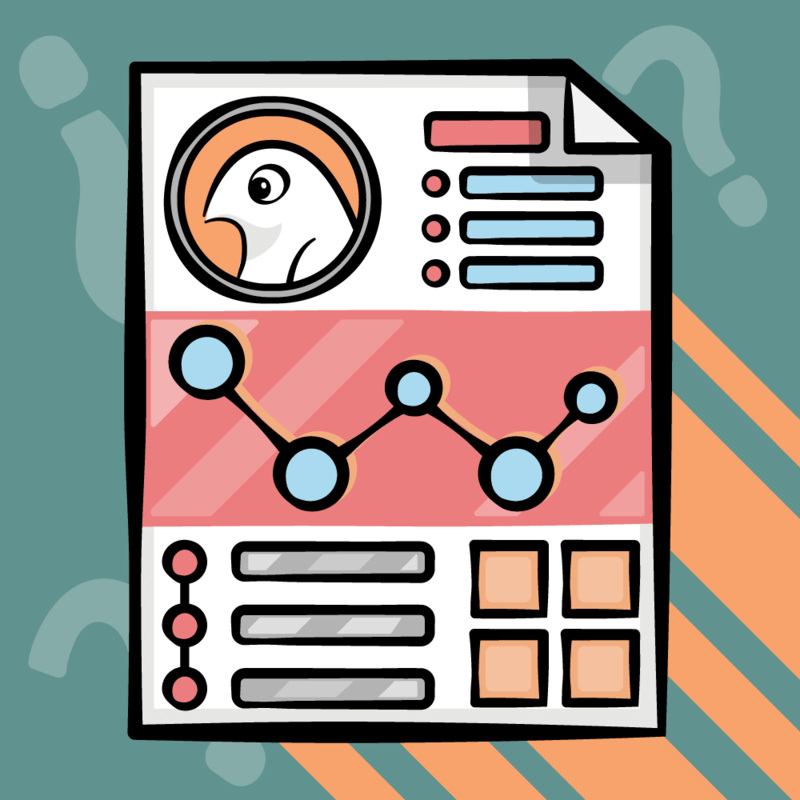 Queries and the ability to walk through datagraphs to get what you want very efficiently. Permissions and security are way better thought through than anyone else. Support for native objects (NSObjects) that does not intrude on your client code, and support for binary data. Also, Cory Wiles, a long-time iOS developer and BaaS enthusiast, has two blog posts about his experience with Fat Fractal which you can read here and here. Also, you can find his recent BaaS comparison reports – lots of extremely detailed information here, definitely worth checking out! “Over the past 2 years I have used various BaaS services (Parse, Stackmob, Kinvey) with production apps and where I hand-rolled my own webservices using RDBMS, as well as NoSQL, which are not just ‘hello world’ tutorials. Each one has its niche in the market; but when making the decision of which service I would use for developing WhoNote, and any future applications, FatFractal is the clear choice. So with that, here is a tutorial for you to try out Fat Fractal for yourself, and see how it can help you reduce server-side complexities as an iOS developer! Your app will allow users to posts short messages like “tweets”, follow/unfollow other uses, and see “tweets” from users that they have followed. Most of the heavy lifting and data querying will be done by the server backend, so you would need a robust BaaS service provider like Fat Fractal to do so. 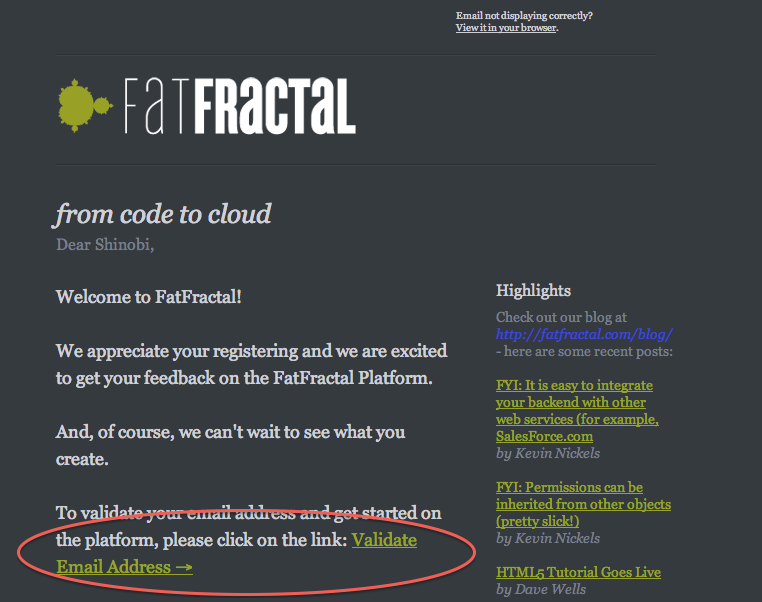 Fill in your email and the password you want, and follow the instructions there after to get your FatFractal account. Check your email for a verification link to complete activation of your account. Click on the link and log in to your account. 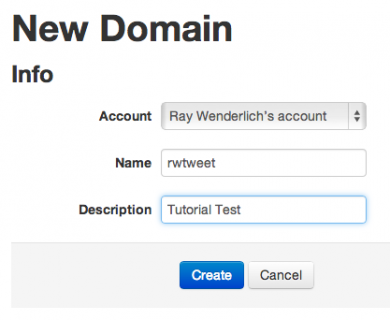 In the form that appears, fill in the name of the domain you want. For this tutorial, I am using rwtweet as my domain name. You will have to use something else. The description is optional and you can fill in anything you want. Choose NoServer for Type, No Server Sandbox for Subscription, the domain you entered earlier, and then name the app the same as your domain. You can give it an optional description if you would like as well. Next, you will install FatFractal locally on your computer. For those of you who have experience with web development, you are probably familiar with developing and testing your web applications locally before deploying them to the cloud. Sadly, most BaaS do not support this feature, which means that you are always developing in production – which is dangerous. Luckily, FatFractal supports local development, which you can then push to the cloud and ‘live’ your code when you are satisfied. This is one of the key strengths of FatFractal – the ability to build your backend locally, which is much faster, efficient and safer than compiling, deploying and tweaking over the internet. As their webpage states – “You are installing a fully featured FatFractal Engine on your desktop. This is not a crippleware version, not a simulation.” Check this link out for more information. Save and exit by pressing Control-X and pressing Y and Enter when prompted if you want to save your changes. Restart Terminal at this point so it picks up your new path changes. 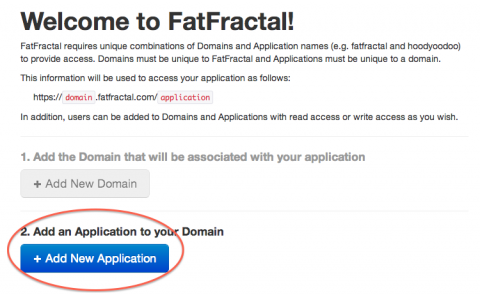 Scaffold your application using the ffef command – but replace the bracketed entries with what you entered for your domain name and app name in FatFractal. For example, I used rwtweet for both. Note: FatFractal requires Java JRE1.6 to run. If you don’t have it installed already, it will be installed automatically after you issue this command. At this point, your application backend is ready to be deployed. 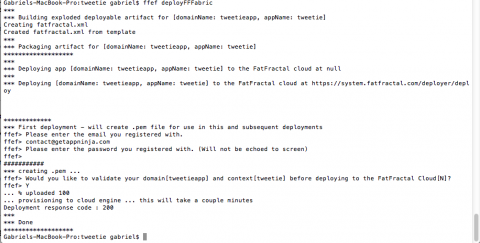 Deployment delivers your scaffolded backend to a FatFractal Engine for execution in the cloud. Congratulations – you have successfully deployed your backend to the cloud! 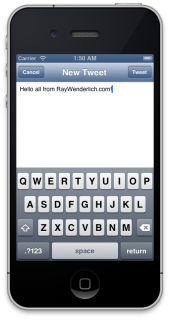 Now it’s time to set up your iOS client and write some Objective-C code. 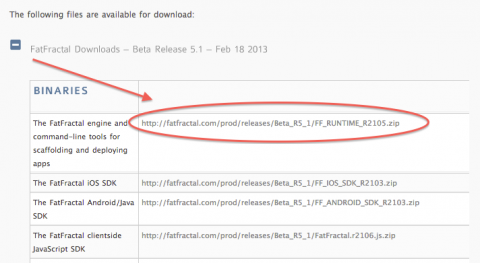 Before you can set up the iOS Client, you need to download the FatFractal iOS SDK. 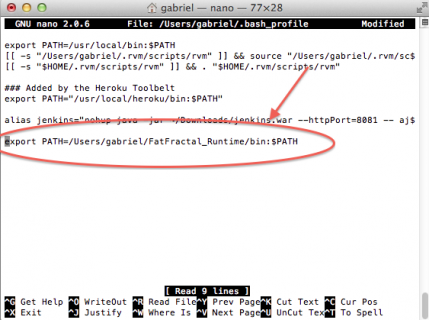 This will allow your application to easily interface with the FatFractal backend. 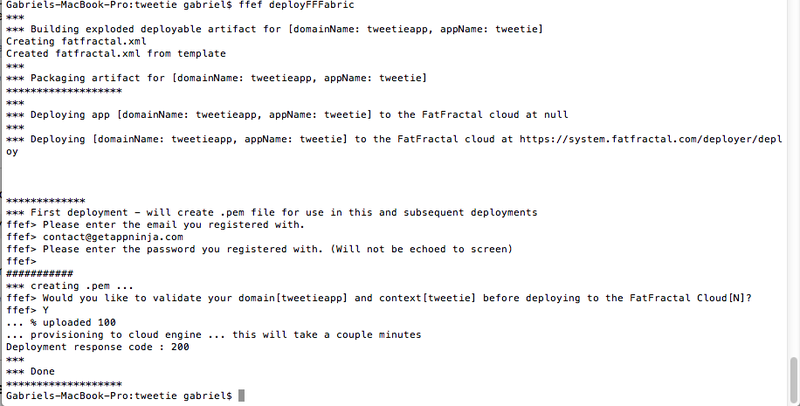 Head over to http://fatfractal.com/prod/docs/getting-started/ and download the FatFractal iOS SDK. If you unzip the file you downloaded, you should get a folder named FFEF.framework. Remember where you unzipped this file – you will need it soon. Next, download the starter project I prepared for you. This starter project has the user interface pre-created so you can focus on the Fat Fractal-related code in this tutorial. However, there is no backend or logic to handle this yet, you’ll create these functions shortly. The project starts from a root view controller called Tab Bar Controller. 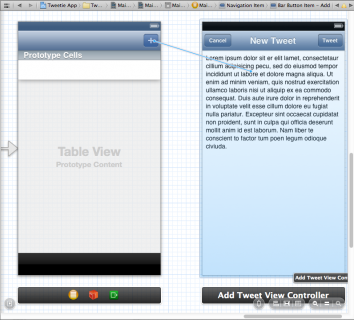 It has only one tab for now, the UINavigationController which houses the MainFeedViewController – a table view controller. 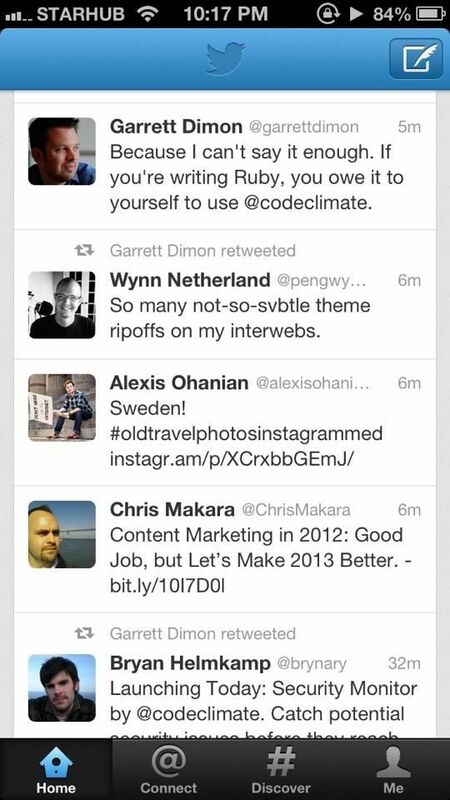 This MainFeedViewController will be responsible for showing all the tweets from your users. 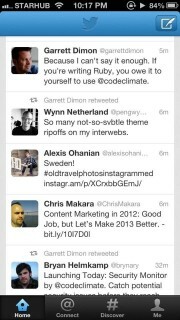 It will look something like the real Twitter iOS application – but not quite as colorful. The WelcomeViewController is the landing page for users who have not logged in or signed up yet. 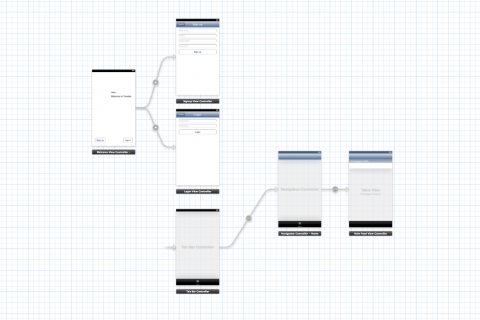 It is a modal view controller that is presented by the MainFeedViewController, hence it is not directly linked to any controllers in the storyboard. 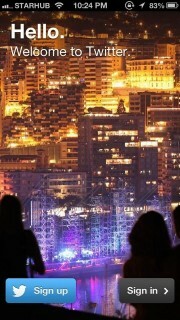 It is supposed to be similar to the Twitter landing view when you first download the app and launch it. The color here could also use a little work. :] But anyways, this WelcomeViewController will link to the SignupViewController and LoginViewController respectively for the user to authenticate themselves with the backend web service. 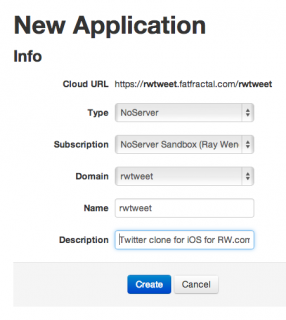 Ok, so now that you are oriented around the application, you can begin configuring your project to work with FatFractal! When done, test that your Xcode project is able to build with the FFEF.framework linked in by building the project (Build or ⌘B). Everything should run without error. 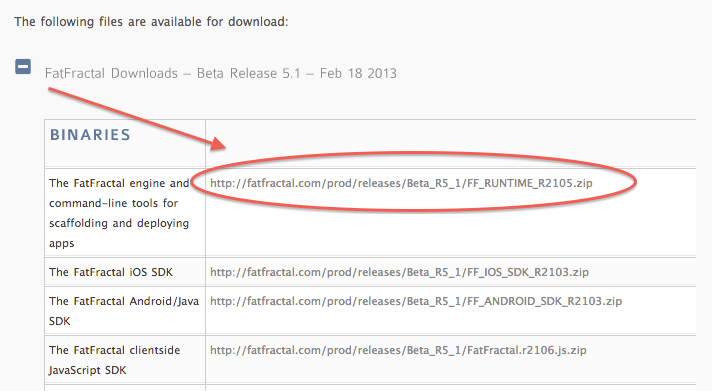 If so, this means that your app is integrated with the FatFractal SDK. You are now ready to work with the service! The next logical step is to create some sample objects as a sanity check, and to finally see your backend in action! This prevents vendor lock-in, which means that you do not have to rewrite your entire application – models, controllers and all if you ever decide to migrate backend service providers. Pretty thoughtful of the folks at FatFractal! Lets create your first test object – a TestZombie class that you will solely use for testing purposes. Choose File > New > New File or ⌘N to bring up the Template Chooser for the new class file. 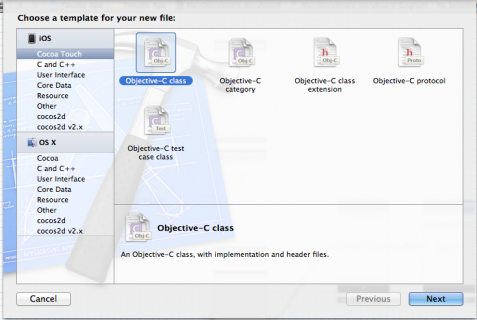 You will use the standard Objective-C class template. Click Next. 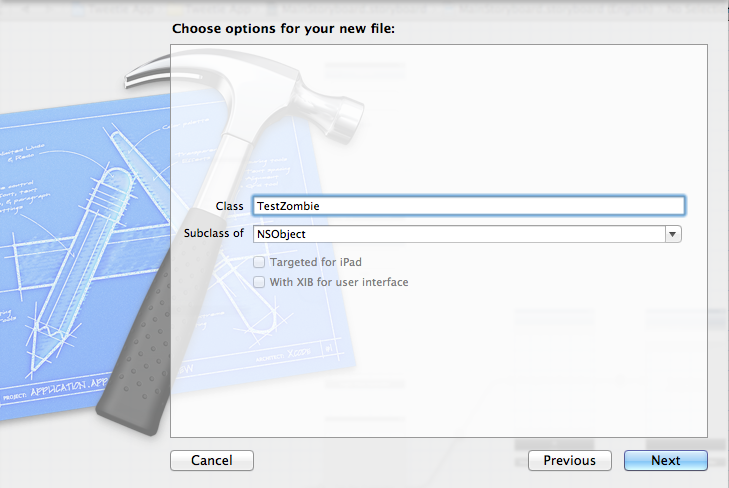 Enter the name of the Objective-C class, TestZombie, as a subclass of plain old NSObject. Then click Next and then Create and Xcode will add TestZombie.h and TestZombie.m files in your project. Here you create three properties – one for the zombie’s name, one for its gender, and one for its mortal enemy – like shotguns! 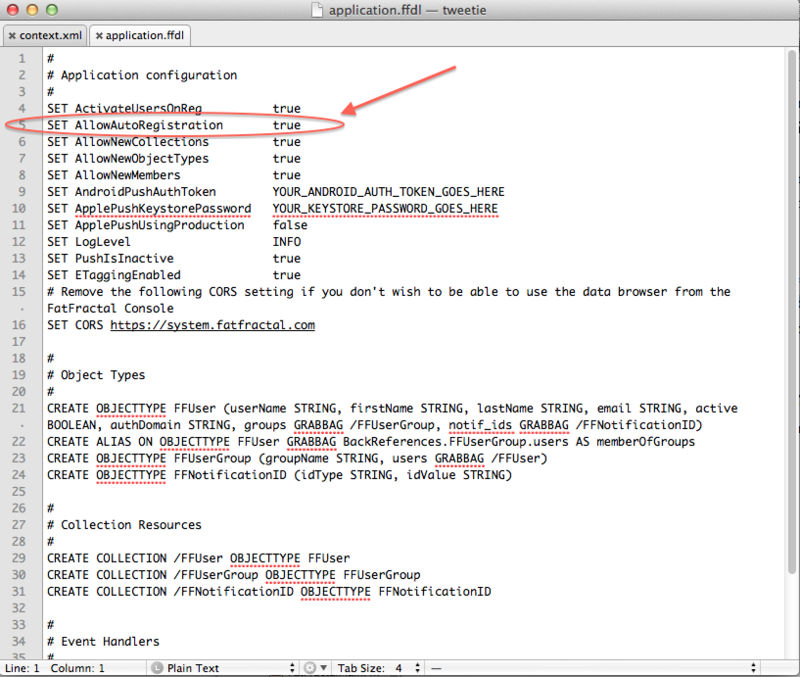 Because in Xcode 4.5, properties are automatically synthesized for you, you can leave the TestZombie.m file alone. That’s it for the test object model – let’s create an instance of the main class you will use to work with FatFractal. To work with Fat Fractal, you need to create an instance of a class named FatFractal that comes in the FFEF framework you added earlier. You will instantiate the FatFractal as a singleton in the AppDelegate class. 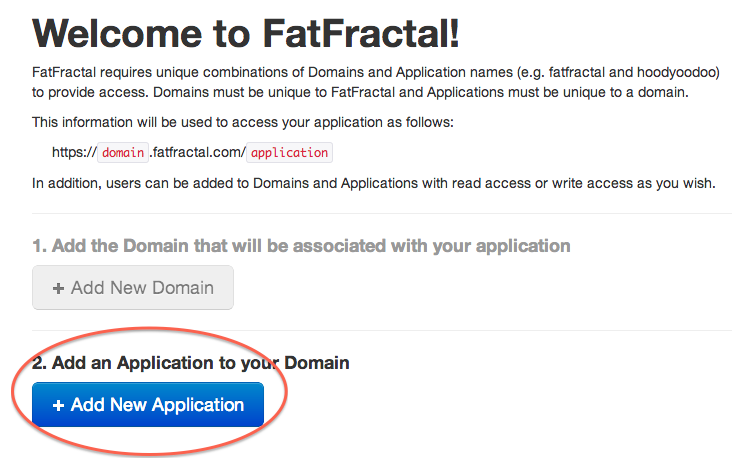 This is to ensure there is only one instance of FatFractal living in your application at any one time – any reference to it will be grabbed from AppDelegate. 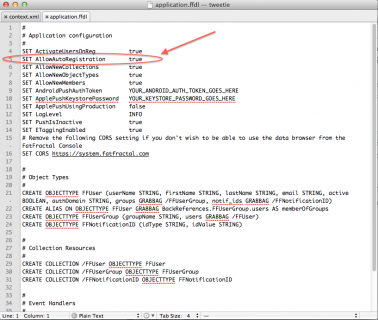 You first have to import the header file from the FFEF framework. Because you will be using the FatFractal class in many places – let’s import it in your Tweetie App-Prefix.pch file which will automatically import in this framework for all your files. 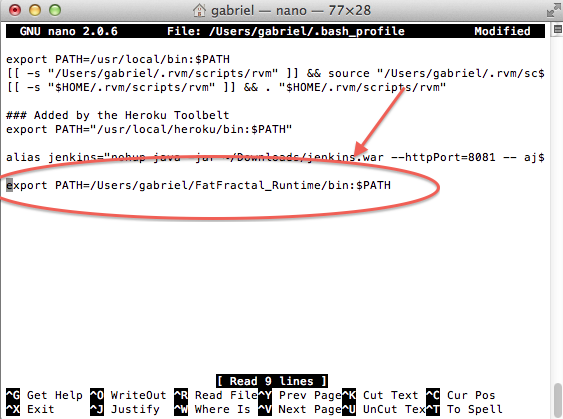 Here you’ve created a new instance of the FatFractal class, passing in the URL for the app you created earlier. You also turn debug mode on so you can see some verbose log messages. Next, you added some test code to make sure Fat Fractal is working. Here you log in with a fake test user, create an instance of a zombie, and add it to your back end database. You’ll learn more about how all this works later on. It reads, “statusMessage : Created new resource /ff/resources/TestZombie/…”. 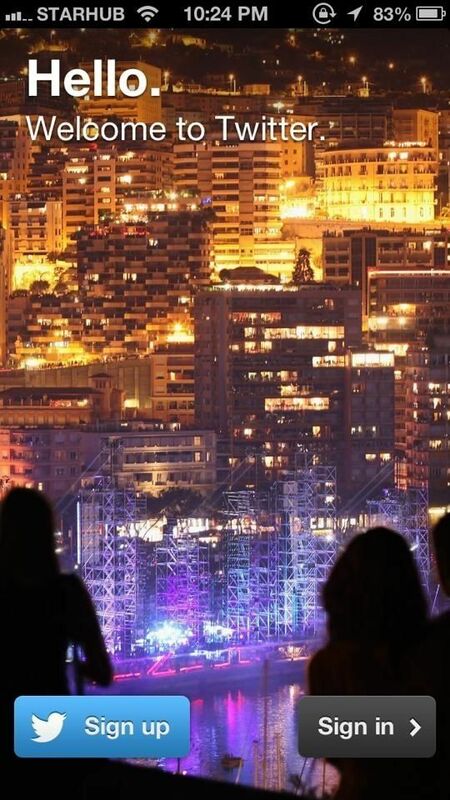 This is a HTTP response from the web server to let you know that the POST request to create an object was successful, along with other meta-data that you will analyse in Part Two. 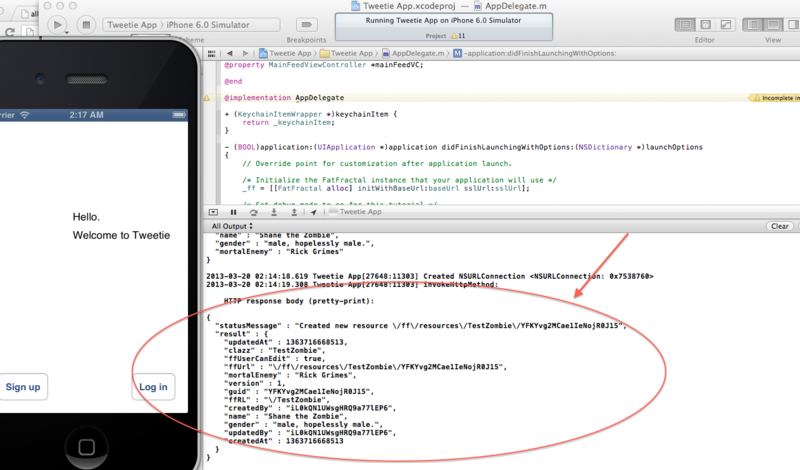 What you see is the JSON data containing the details of the TestZombie object you just created. Walking Dead fans will approve! You realize that you were able to create your own object classes without having to use third party object models. Simply by passing in your native Objective-C data structure, it creates your object’s data model on the backend for you. On the FatFractal platform, there is a special object called FFUser that represents users. It behaves exactly like any other object, except for some predetermined properties. 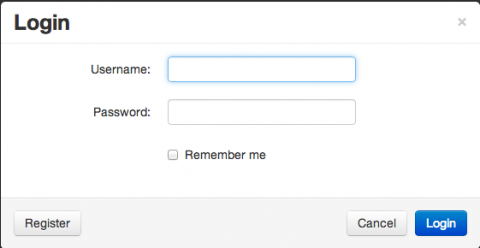 By default, Fat Fractal is set to auto-register a user upon first log in. 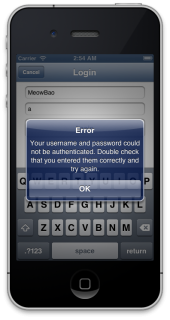 This means when a user tries to log in, if the username does not exist already Fat Fractal automatically creates a new an FFUser object with two properties: userName and password. You saw an example of this earlier – in the test code, it logged a test user in with a certain username and password even though you never explicitly created that user. Behind the scenes, Fat Fractal automatically created a FFUser object for you. By default, a user has read and write permissions on every object they create. Also by default, every registered user has read permissions on every other users’ objects, but not write permissions. Unregistered users may not create objects on the backend, but may read anything with public read permissions. Most of this default behavior for FatFractal serves your needs fine for now, except for one. 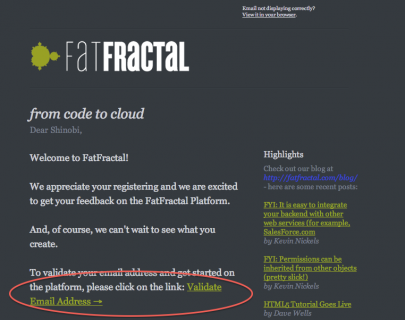 You don’t actually want Fat Fractal to auto-register users, like you saw in the test code. Instead, you want them to go through your sign up process first. If prompted if you would like to validate your domain again, key in No (N). Next let’s build your authentication system. 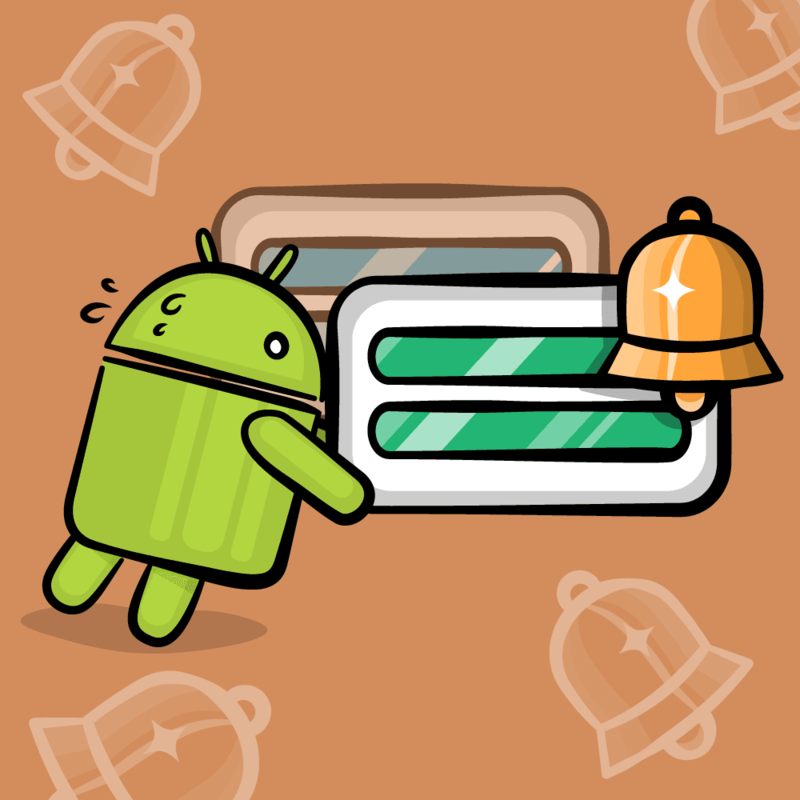 // App is now in signed in state. You then call the registerUser:password:onComplete: method on your FatFractal singleton. This method will attempt to sign up a user, and provide a callback when the backend server replies to you. If there is an error, you hide the progress view and display an alert. If there is no error, you double check that the server returned you an object, which is your FFUser object actually. Your app is now in a signed in state. 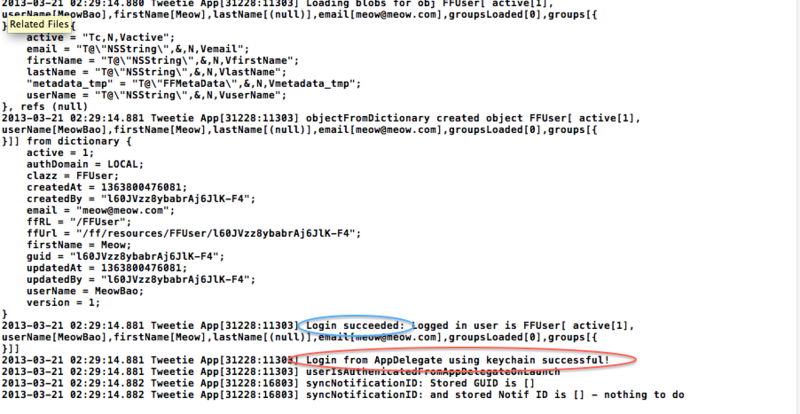 You then save the user’s credentials in your keychain so you can automatically log the user in from hence forth. You then dismiss the modal view controller, and send your delegate a message – that the sign up was successful. 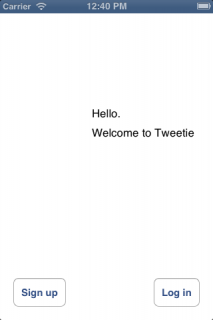 This checks to see if the user is logged in, and if not presents the WelcomeViewController. And with this, you can now sign up new users for your application! >Build and run and try to sign up a new user. You should see the modal Welcome View Controller dismiss itself and show you your MainFeedViewController table view if successful. Not bad for just a few lines of code, eh? Let’s complete the rest of the authentication system while you are at it. 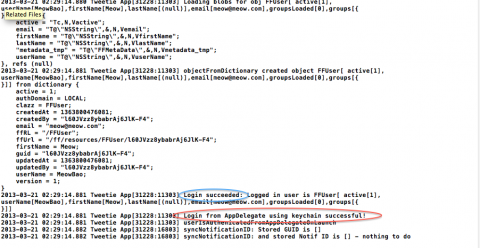 Open AppDelegate.m, and let’s make the application automatically log in the user if there are user credentials in the keychain. // Probably keychain item is corrupted, reset the keychain and force user to sign up/ login again. // Better error handling can be done in a production application. Calling the loginWithUserName:AndPassword:onComplete method on your FatFractal instance, which will return with a response from the server. If there is an error, your keychain item is probably corrupted. 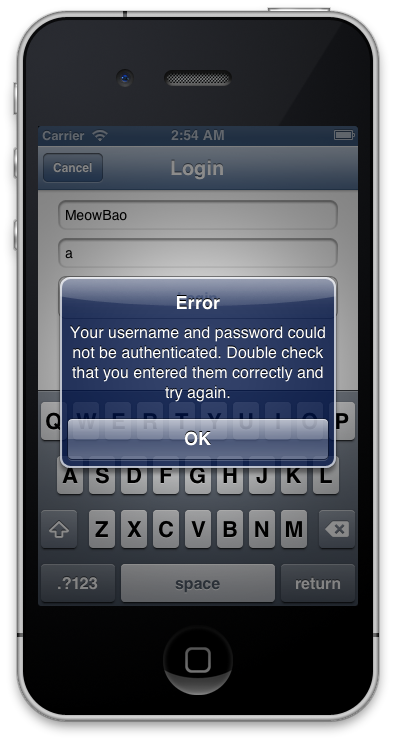 Thus, you will clear it, and force the user to sign up and log in again when he next launches the application. In a production application, more robust error handling can be done. If there is no error, and the server returns you an FFUser object, you will send a message to the MainFeedViewController to inform it that user is successfully authenticated. This is so that you can know when to download the tweets and user information, as well as refresh the table view in the MainFeedViewController. Registration works great, but the Login View Controller still doesn’t work, so let’s add the code for that next. // Upon successful dismiss, handle login. Handle the error, if any. Notice that you do not display the localized error, you will explain why in a short while. Check that the server actually returned you the FFUser object, save your credentials in the keychain and dismiss the modal view. Now, why don’t you show the localized error message? For now, you will not be using the Login View Controller, as you are automatically logged in when you sign up, and there is no log out function as of yet. You will come to that in a while. What Twitter clone would you have if the user can’t even post his or her tweet? 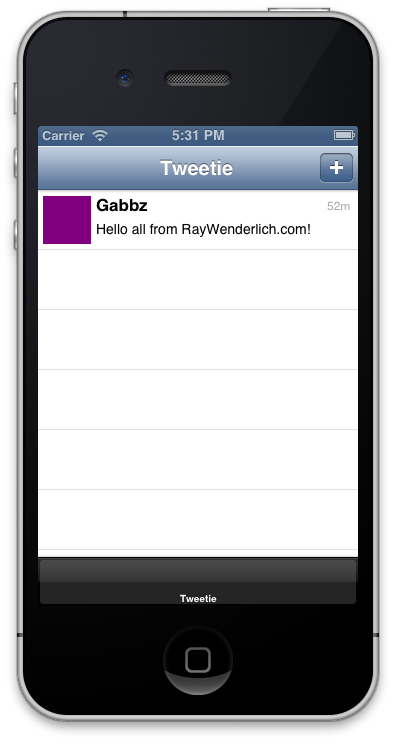 Let’s create the Micropost object that will hold your tweets. 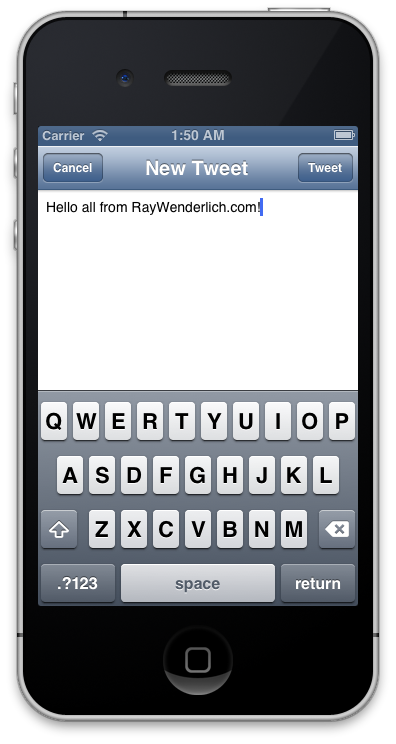 Enter the name of the Objective-C class as Micropost, a subclass of NSObject. Next, let’s create your AddTweetViewController. 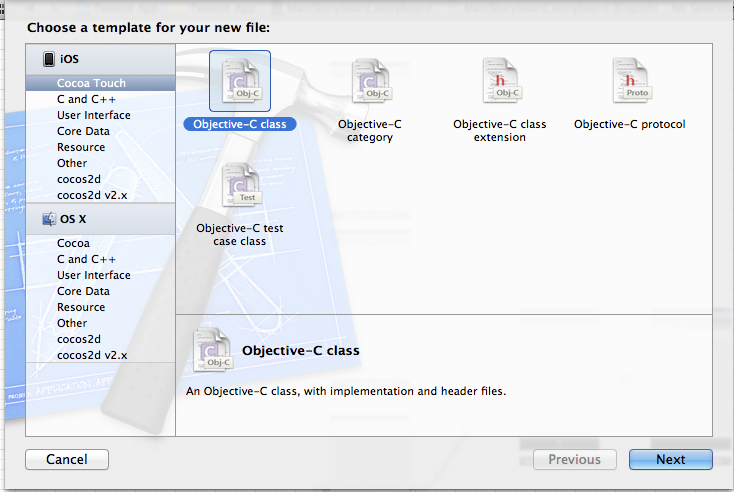 Choose File > New > New File or ⌘N to bring up the Template Chooser for the new class file. 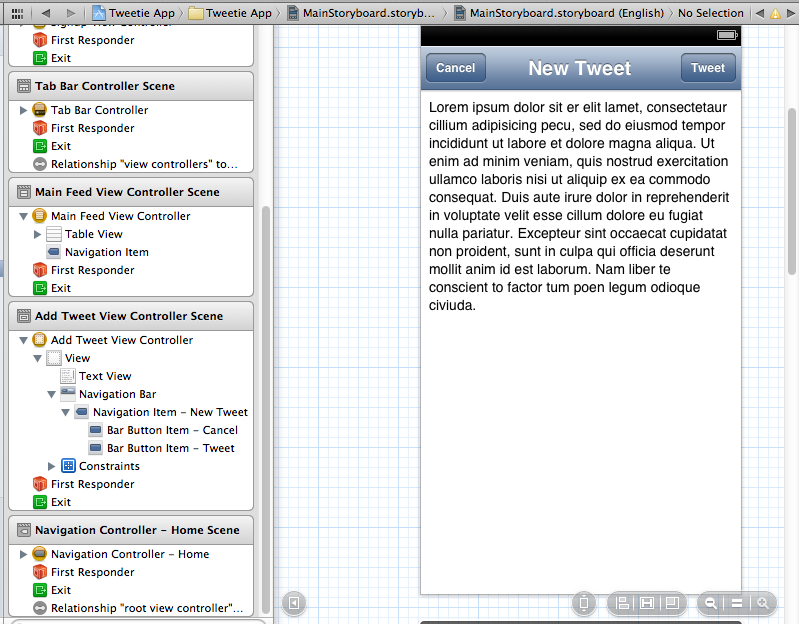 We will use the standard Objective-C class template. Click Next. Enter the name of the Objective-C class as AddTweetViewController, a subclass of UIViewController. 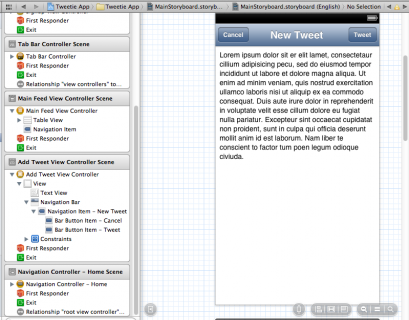 Next, let’s create the user interface for your AddTweetViewController in your storyboard. Drag a new View Controller object into your storyboard, select it, and change it’s class to AddTweetViewController under it’s Identity Inspector. You first check if the user is logged in, and create a new Micropost object with the text and currently logged in users as the properties. You then call the createObj: method on your FatFractal singleton to create and post the object to your web service. This should be familiar to you by now. The interesting thing here is the onOffline: block. Fat Fractal supports offline queuing for most operations, in case the client is offline. The Fat Fractal SDK will try to complete any queued operations every 1 second while the client is online, and every 10 seconds while your client is offline. 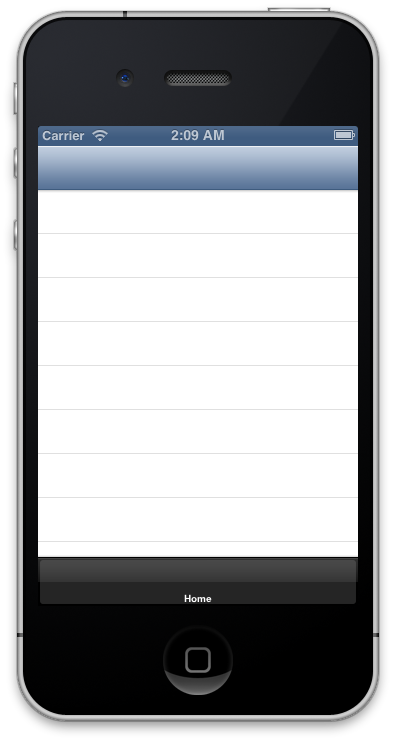 The queued operations are saved to the iOS device local storage, so they survive app restarts, termination etc. This is very useful when designing an app like Twitter, which if your user tweets a post while in an area without network connectivity, the app will ‘hold’ or queue the post for you, and post it to the server when the user has connectivity again. Allright! The last step is to display the new Add Tweet View Controller modally from the Main Feed View Controller. 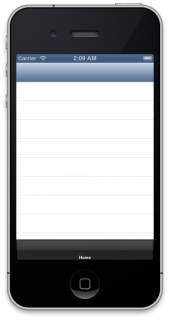 Change the Identifier of the UIBarButtonItem under the Attributes Inspector to Add. Allright! 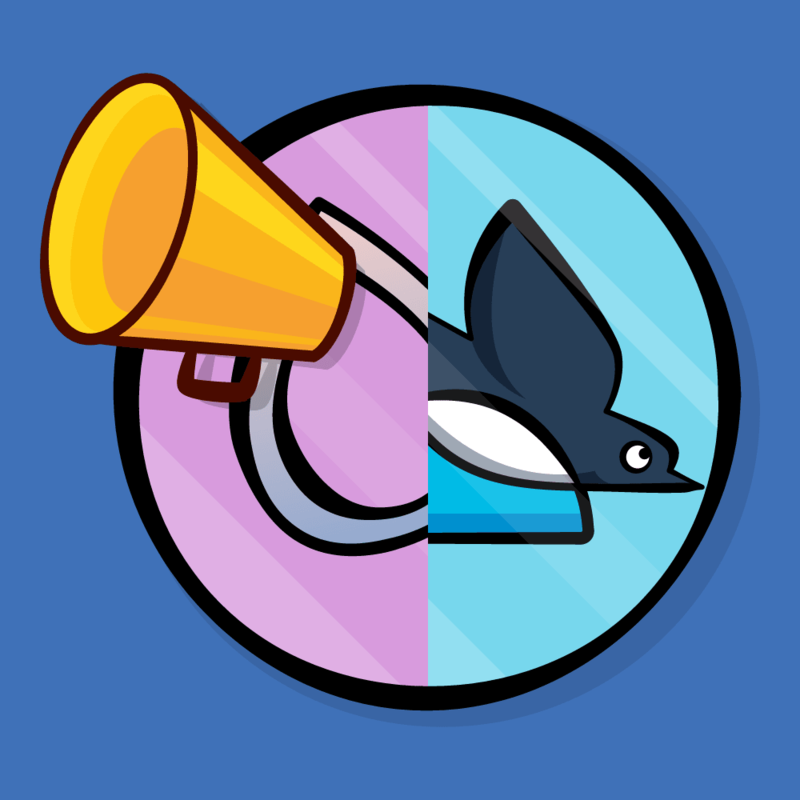 Run the app now try adding a tweet. You should see something like the following in your logs, signifying that your post was successful! Our table view is still empty though.. So let’s retrieve this data and format it to your table view. Basically, what you are doing here is to check if there is a logged in user. If there is, you will assign the currentUser to the currently logged in user, as well as refresh the table with the new data from your backend. You will check if the postsArray instance variable exists. If so, you will remove all objects from it and set it to nil. You then create the postsArray again. To retrieve data from your FatFractal backend, you just need to call getArrayFromUri: on your singleton, and pass in the URI endpoint for the data you want to retrieve. In this case, it is /Micropost. This will retrieve all the objects from https://.fatfractal.com//ff/resources/Micropost for us. Remember to call the refreshTableAndLoadData method in your callback too, so that this method will be invoked when you log in from the App Delegate. Here is the complete example project from the above Fat Fractal tutorial. In this part, you learnt how to set up the Fat Fractal backend, use the Fat Fractal iOS SDK, how to build your own authentication system, post data to the backend, and retrieve this data from the backend. But there’s a lot more to learn with Fat Fractal! I could show you how to extend this app even further to allow users to follow each other, upload images, and more – demonstrating some neat functionality about Fat Fractal along the way. If you would like to see more about Fat Fractal, please let me know! Otherwise, if you have any questions or comments, please join the forum discussion below.